Whilst there are still many important issues to resolve in the agreement for the UK’s withdrawal from the EU, it is fairly clear given statements made by M. Barnier that there is very little prospect of the UK keeping the benefit of EU tax measures, such as the Royalties and Interest Directive and the Parent Subsidiary Directive. 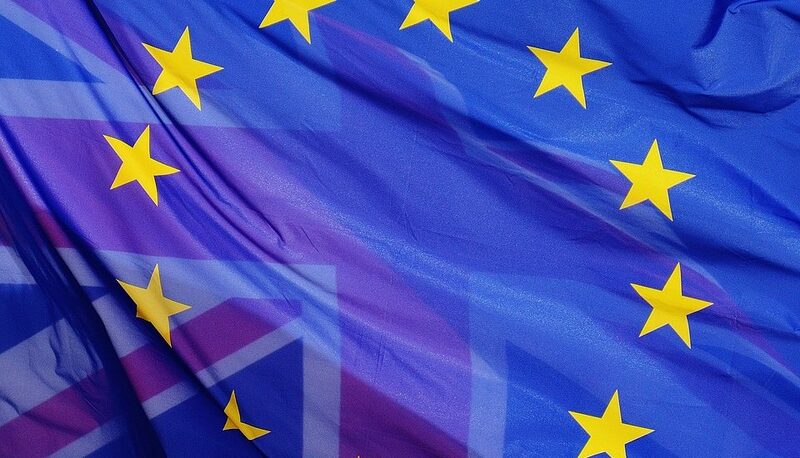 The beneficial tax treatment offered by these Directives, along with all other EU laws and obligations under the EU Treaties, will cease to have effect after the UK leaves the EU on 29 March 2019, or such later date if there is a transitional period (‘BDay’). Business structures which rely on EU protections, even if only as a back up to existing planning, will need to be reviewed in advance of BDay, and possibly revised. As is always the case, each case should be reviewed on its merits. Some of the direct tax issues likely to arise are considered in more detail below. In this article, the ‘first country’ means an EU member state, the ‘second country’ means another member state and a third country is a non-EU state. Also, we consider only the ‘full’ EU member states and not countries which have other arrangements, for example Switzerland. The Interest and Royalties Directive (Council Directive 2003/49/EC) eliminates withholding taxes on arm’s length payments of interest between associated companies in different EU member states. This Directive will no longer apply after BDay, and it can be safely assumed that there will be no grandfathering provisions for interest paid post BDay in respect of loans or advances made prior to that date. c) The paying company country’s choice of LOB when it exercises the multi-lateral instrument (MLI) implementing OECD BEPS changes. In relation to (c), the UK adopted the principal purpose test via the MLI the from 1 October 2018, rather than the stricter limitation of benefits test. It is not clear what happens if another member state only introduces LOB and not principal purpose test, but looking at some of the MLIs and the Convention it would appear that LOB would apply from the other country and the PT from the UK side. Withholding taxes deducted by the paying company on the interest payment will be eligible for relief in the UK in accordance with the usual rules TIOPA 2010 s 112. Where the recipient company has a sufficient UK corporation tax liability to fully offset the credit for the overseas withholding tax deducted, the company’s position is not prejudiced, however, this will not be the case where the company is loss-making or unable to fully utilise the available foreign tax credit. Relief in such cases will be by deduction, giving a much less favourable approach than the exemption offered by the EU Interest and Royalties Directive. For UK companies making interest payments to EU resident companies, without the benefit of the Interest and Royalties Directive, it is necessary to revert to first principles. The first step will therefore to determine whether the payment is one of ‘yearly interest’. Assuming this is the case, withholding tax at the lower of the basic rate of income tax (currently 20%) in accordance with ITA 2007 s 874, or the rate applicable under the appropriate double tax treaty. This presupposes that the funding arrangement takes the form of a loan, and is not, for example, structured as a deeply discounted security or even a quoted Eurobond. BDay has no impact on the deductibility of interest payments and the UK has already implemented the OECD’s BEPS proposals on hybrid entities and instruments, see Part 6A TIOPA and the [fat and] thin capitalisation rules in Part 10 TIOPA. Those rules aside, it will of course be necessary to consider the unallowable purpose rules in CTA 2009 s 411.
b) The existing LOB within the treaty and the impact of the UK’s implementation of the principal purpose test. The Directive contains “special relationship” provisions to prevent excessive interest payments benefitting from its withholding tax exemption. TIOPA 2010 s 131 similarly operates where the interest article in a double tax treaty provides for interest arising from sources in one country which is subject to tax in the other country is exempt from tax in the source country, or is liable only to withholding tax at a limited rate. Where there is a “special relationship” between the payer and recipient, the treaty provisions operate only in respect of the arm’s length element of the interest (termed the ‘ordinary amount’). For funding arranged as a discounted security, such as a zero coupon bond, where the bond is issued by an EU resident company to a UK company (‘inbound arrangements’), there will be no change to the current position: corporate bond holders will be taxed on the discount or premium arising on an accruals basis over the period between issue and maturity of the security in accordance with CTA 2009 Pt 3 ; individuals will be taxed on the discount on sale of the security or premium on redemption in the tax year in which sale or redemption takes place (ITTOIA 2005 s 427). . There are similarly no changes to the relevant EU taxation provisions governing discounted securities issued by a UK company to companies resident in another member states (‘outbound arrangements’). As at present, where the security is issued by a close company, a deduction for the premium on redemption of the security will be allowed only on a paid basis (CTA 2009 s 409). A non-UK resident company’s UK tax liability is limited in respect of UK source income by ITA 2007 s 815, where the company is not carrying on a business through a UK permanent establishment, however, this limitation is subject to the provisions of a relevant double tax treaty. There could be a possible issue or opportunity here, for example if the receiving country taxes on a receipts rather than an accruals basis. This depends on the meaning of “taken into account in computing income” for Part 6A TIOPA purposes: does the income have to be taken into account on a current year basis or is some future time acceptable? Guidance on the application of Part 6A (see INTM550000 – INTM597000) is not clear on this point. As already noted, the EU Interest and Royalties Directive will no longer apply, and again it is reasonable to assume that there will be no grandfathering for royalties paid post BDay in respect of licensing arrangements entered into prior to that date. The relevant EU country’s choice of LOB when it exercises the MLI implementing the OECD’s BEPS changes. The basic requirement is for the payer to deduct withholding tax at the basic rate of income tax (20%) unless a DTT applies to reduce or eliminate the withholding requirement. In addition, s.917A ITA 2007 (inserted by FA 2016) contains a treaty override provision where intellectual property royalty payments are made to a connected party and the main purpose of the arrangement is the avoidance of tax through the use of a double taxation treaty. This provision could apply for example where royalty payments are made to a Maltese resident non-domiciled company rather than to a normal corporate income tax paying company. Accordingly, a classic offshore royalty holding company would not automatically receive the benefit of the UK’s tax treaties. The impact of existing LOB provisions and the UK’s adoption of the principle purpose test under BEPS (see above). N.B. The comments on royalties do not take into account any prospective changes resulting from the announcements made in Budget 2019 on 29th November 2018. It is expected that the Parent Subsidiary Directive (Council Directive 90/435/EC) (PSD) will no longer apply from BDay. Dividend withholding taxes across the EU are substantial and, whilst in many cases withholding rates are reduced by treaties , the reduction is generally to 15%, with lower rates applying only to controlling shareholdings or where the recipient has a stake of 25% or more. The imposition of cross border withholding taxes has also been considered in numerous cases before the ECH, starting with the case of Fokus Bank ASA v The Norwegian State (Case E-1/04) (2004) 7 ITLR 367, EFTA Ct 2006/C45-06 where exemptions from withholding taxes on dividends paid by investment funds were given locally but not to those in other member states. This followed on from cases dealing with the position for individuals, principally Staatssecretaris van Financiën v Verkooijen (Case C-35/98)  STC 654.
b) a company which is not small or not part of a small group, where the receipt falls within one of the category of exemptions in CTA 2009 Pt 9A, such as a dividend from a portfolio shareholding or a company under the control of the recipient. Post BDay, EU states will be able to tax dividends from UK companies and vice versa. However, given that the rules on taxation of corporate dividends are part of the UK’s competitive strategy as an ideal holding company location (very low tax, London and shame about the weather), it is unlikely that there will be any change to the UK’s dividend exemption regime. Where the company/group is small, it is unlikely that there will be any UK tax as dividends are generally exempt but as noted above, where the paying company is resident in a country with no DTT or a DTT with no NDA. Local withholding taxes will apply (see Table 1). Relief for the foreign tax withheld will be available where the dividend receipt is taxed, but will otherwise be lost. The UK does not levy withholding tax on the payment of dividends, with except on Property Income Dividends (PID) by REITs. However, the country of receipt could tax the dividend whereas before they could not, i.e. UK will be treated as a third country. In broad terms, the EU Mergers Directive facilitates the tax free cross border merger of companies, provided a permanent establishment remains in the relevant jurisdictions. Charges to corporate capital gains tax are rolled over under TCGA 1992 ss 140A – F. However, where a UK company is disposing of shares then the substantial shareholding exemption (TCGA 1992 Sch 7A) is likely to apply in most scenarios involving trading groups. Many EU states have similar participation exemption regimes. Where the merger takes the form of a dissolution by operation of law, CTA 2010 s 1031 provides that no distribution arises. This Directive abolished exchange control within the EU. No member states have exchange control and as it is very much out of fashion for developed open economies it is very unlikely that the UK or the EU would re-introduce any. However, one should note that the EU can impose strict exchange controls on a member state under the European Stability Mechanism (see https://www.esm.europa.eu/ – an oxymoron if ever there was one), as they did with Cyprus. A number of UK tax provisions, such as transfer pricing (TP), diverted profits tax (DPT) and R&D relief, to name three (see table 2 below) rely on the definitions of micro, small and medium-sized enterprises in the EU Commission’s Recommendation 2003/361/EC. After BDay, the UK could keep the current definition denominated in euros, adopt sterling equivalent thresholds, or establish its own definition. Whichever route is chosen, we believe an SME definition will continue as it applies across all matters applying to business and not just tax, e.g. whether a restaurant can put salt on a table or not (true! With effect from 1 January 2018). A member state’s domestic tax law may be overridden by the EU if it results in discrimination on the grounds of a person’s nationality. In the tax world, it is typically asserted that discrimination arises as a result of the breach of one of the four fundamental freedoms under the Treaty (free movement of goods, free movement of services, free movement of capital and free movement of people or establishment). Discrimination One of the first cases to be brought before the European Court was, R v IRC, ex p Commerzbank AG (Case C-330/91)  STC 605, 68 TC 252, Court of Justice, ), which resulted in repayment supplement becoming payable to non-UK companies. Accordingly, there a range of areas to which this applies from thin capitalisation (Lankhorst-Hohorst Gmbh v Finanzamt Steinfurt (C-324/00)  STC 607), pension deductions (Wielockx v Inspecteur der Belastingen  STC 876 (Case C-80/94), dividend withholding or credit (Fokus Bank and Verkooijen), cross border no gains no loss treatment (X and Y), migration charges (National Grid Indus BV v Inspecteur van de Belastingdienst Rijnmond/kantoor Rotterdam  Case C-371/10) and even our own Daily Mail and General Trust R v HM Treasury, ex parte Daily Mail and General Trust plc –  STC 157 which prompted the change in UK corporate residence rules). In particular, areas where the freedom of establishment rule has been claimed involve s.13 TCGA and s.720 et seq ITA 2007 (see Fisher and others v HMRC  UKFTT 804). In these cases, we would argue that if the offending event occurred prior to BDay that the protection continues, even for later years of assessment. In addition, one should also check the terms of an NDA in any relevant DTT. Maybe we will see more litigation on DTTs, or based on the WTO or even international trade agreements (which I believe is a fast growing area). As the Capital Duty Directive and related case law will no longer apply, the UK could theoretically reinstate the 1.5% stamp duty / SDRT charges on placing stampable stock into a depositary or clearance system thus reversing the decision in HSBC Holdings plc v HMRC  STC 58 CJEU. Again, we think HMRC are most unlikely to do this. And in a similar vein we doubt the government would want to introduce the proposed Financial Transactions Tax (FTT). For payments of interest, a formal claim is required by a company seeking to apply the benefit of the Interest and Royalty Directive, and a similar procedure applies in relation to treaty claims. There are some subtle differences and where reliance has previously been placed on the Directive, companies will need to ensure that an appropriate application under the treaty passport scheme has been made to HMRC to apply the benefit of a double tax treaty. The application must be made by the recipient in advance of the payment of interest for which reduced withholding terms are requested, and unlike a claim under the Directive, there is a 30-day time limit governing HMRC’s response. Once issued, a treaty passport will normally need to be renewed every five years. As far as royalties are concerned, ITA 2007 s 914 permits a UK company paying royalties to a resident of an EU member state to make payment without deduction of withholding tax, where the company has a reasonable belief that the recipient will be entitled to the exemption provided by the Directive. A similar treatment applies under a double tax treaty. HMRC could start reversing some of the changes it has previously been forced to make in order to maintain compliance with EU law, e.g. cross border losses, foreign branch election, amending s.13 TCGA, UK to UK transfer pricing (although keep it for CT / IT plays) etc. but apart from shortening the tax code, unless there are significant amounts of money involved, we believe that sleeping dogs will be left to lie. We do expect HMRC to keep a close eye on its EU competitors and ensuring that the UK retains its competitive holding company edge, whilst raising the vast bulk of its revenue from income tax (mainly through PAYE), national insurance contributions and VAT, i.e. you and me. The UK’s DTT network is the most complete in the world, even though we have on a number of occasions unilaterally overridden it, and will be increasingly relevant even if the changes required by the BEPS Action Plans will level, to some extent, the international tax playing field. Foreign branch election s.18R CTA 2009 UK trading companies can elect to treat their non UK branches as not taxable. Transfer pricing SME exemption s.173 CTA 2009 Exempts SMEs from UK transfer pricing rules. Exemption from tax on dividends received by companies s.931B CTA 2009 “Good” dividends are tax exempt, and this includes dividends from non UK companies in countries with an NDA in their UK DTT. Ditto for individuals s.397A ITTOIA “Good” dividends receive equal treatment if from companies from non UK companies in countries with an NDA in their UK DTT.